The cemetery is well preserved. 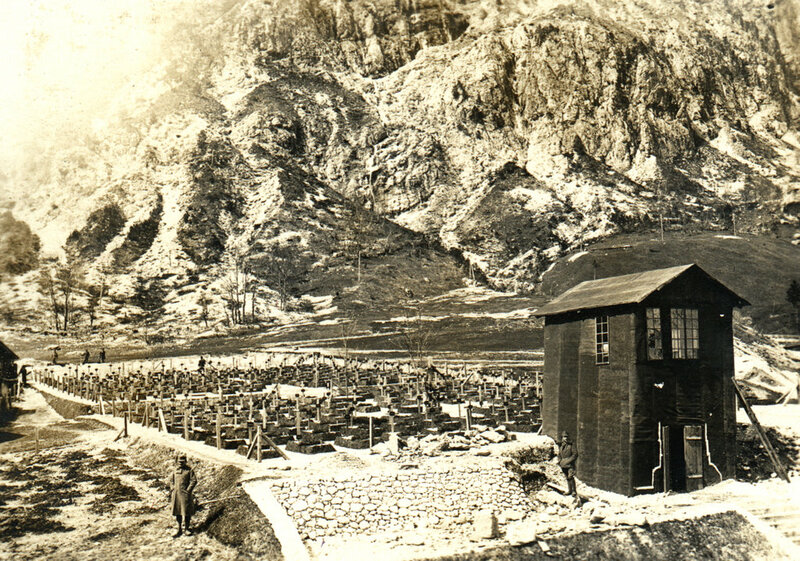 More than 800 Austro-Hungarian soldiers are buried in the four terraces of this cemetery. The fallen soldiers were first buried on the lowest terrace, and then upwards according to the year of the interment. The graves are marked with crosses and the graves of Muslim soldiers with “notches”, typical Muslim tombstones. The monument, standing in the centre of the cemetery, is dedicated to the killed defenders of Mt. Rombon. 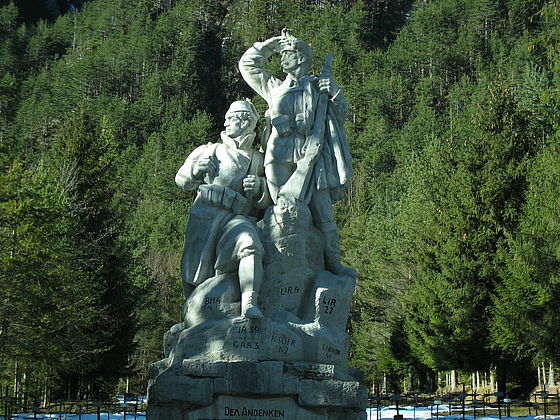 Its sculpted group shows a Bosnian soldier and a soldier of the Austro-Hungarian Mountain Units who look up towards the top of the mountain, where most of the soldiers buried here were killed in fierce battles. The monument is the work by the sculptor Ladislav Kofránek of Prague. Cultural monument of local significance. Open 24 hours/day throughout the year. The nearest bus stop is in Bovec (10 km away), the nearest railway station is in Most na Soči (52 km) or in Tarvisio in Italy (20 km away).